Looking for a Used Rogue Sport in your area? CarGurus has 17,636 nationwide Rogue Sport listings starting at $10,995. Sporty styling is the name of the 2017 Nissan Rogue Sport’s game, because this small crossover SUV lacks both the guts and dynamism to deliver on any promises of performance. “Fake news!” We’ve all heard about it, but some of us clearly have no idea what it is. The answer is simple: Fake news is a news report based on something other than direct or reasonable circumstantial evidence. When it comes to the 2017 Nissan Rogue Sport, the direct and circumstantial evidence suggests that this new small crossover SUV’s name is the epitome of fake news. 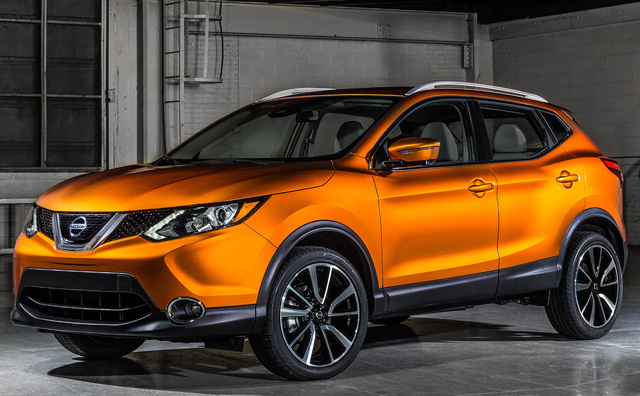 There is nothing sporty about the new Rogue Sport, except for maybe its styling. Easily one of the best looking vehicles in the entire Nissan lineup, the Rogue Sport is stylishly tailored in a small crossover SUV segment where awkward proportions and cartoonish design rule. For instance, my wife recently saw a Toyota C-HR on the road and said that it looked like a crumpled-up piece of paper on wheels. And she’s probably not the only person who feels that way about Toyota’s wackadoodle Coupe, High Roof. Good thing for Nissan that attractive styling sells cars. People see a new vehicle on the road, or in an advertisement, and fall in love with the looks, imagining themselves behind the wheel, whipping around town and looking savage*. 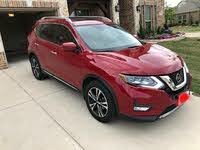 My recommendation would be to upgrade yourself from the base Nissan Rogue Sport S ($22,395) or mid-level SV ($23,995) and go straight for the SL trim level ($27,045). It’s the most expensive version, yes, but it is required to get machined-face 19-inch aluminum wheels, which make the Rogue Sport look more expensive than it is. My test vehicle did not have these wheels. Instead, the Palatial Ruby SV version I evaluated had silver-painted 17-inch aluminum rims (optional for the S trim). They looked okay, but lacked the presence provided by the SL trim’s larger footgear. 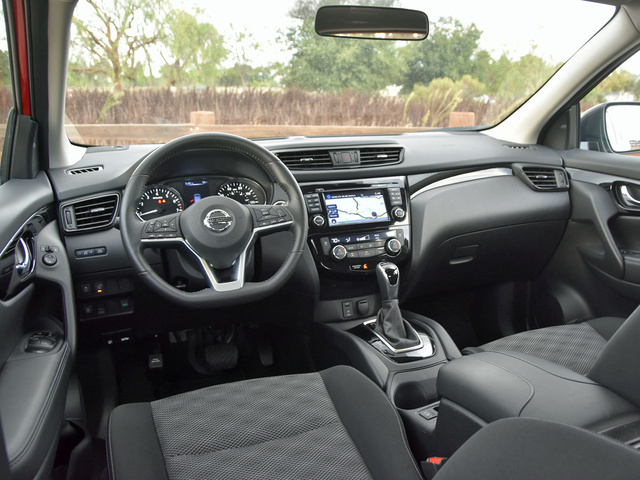 Inside, the Rogue Sport shares its dashboard, flat-bottom steering wheel, door panels, center console, and front seats with the larger Rogue model. As a result, it looks and feels bigger inside than many competitors, and with softer materials and superior finishes. Start the Rogue Sport’s 2.0-liter 4-cylinder engine, choose a gear, and your satisfaction with this appealing 3,225-pound sport ute will deflate like a released balloon. “Fake news!” you will think, as you struggle to gather speed for a merge onto a freeway or a passing maneuver on any road outside of, say, Nebraska, with the continuously variable transmission (CVT) causing mechanical groans not unlike a victim of irritable bowel syndrome. If I’m not being clear, the Rogue Sport is anything but sporty. 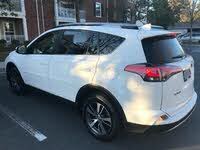 Granted, when driven normally in an urban environment, such as where a Nissan dealership might conduct a short test drive while trying to sell you this SUV, the Rogue Sport will feel perfectly spry. 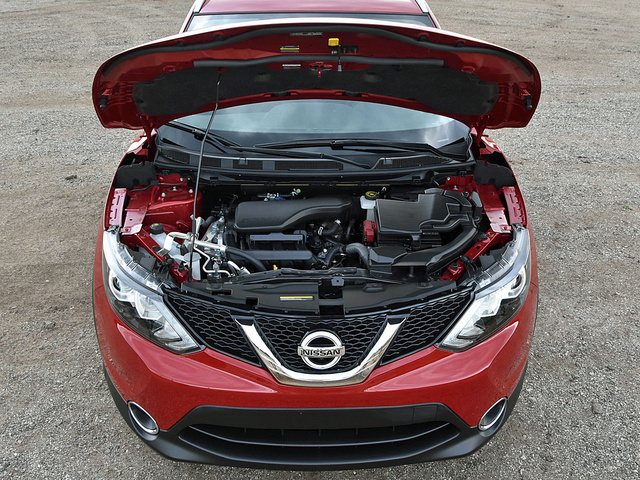 Under part-throttle acceleration, the CVT maximizes the effectiveness of the 141 horsepower made at a lofty 6,000 rpm and the 147 lb-ft of torque at 4,400 rpm. It even features programming that's designed to make it sound and feel more like a traditional automatic transmission in order to eliminate aural annoyance. 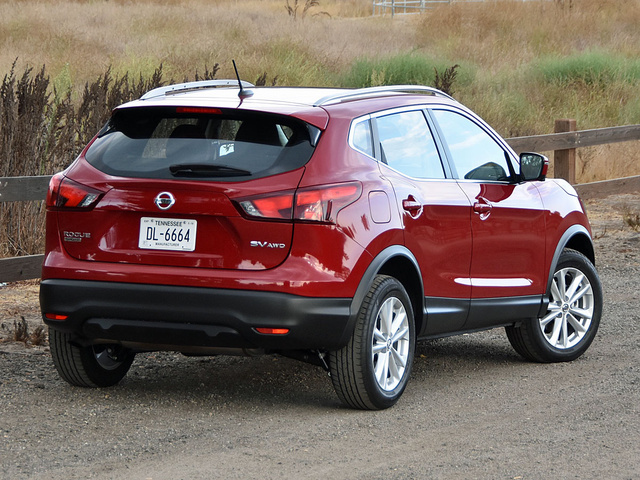 Light steering makes the Rogue Sport easy to park and maneuver, too. In my little corner of suburban Los Angeles, the Rogue Sport performed nicely for taking the kids to school, running errands, and even cruising on local freeways. However, plant the go pedal to the floor and the SUV generates a ton of noise, but virtually no sensation of acceleration. Getting up to prevailing freeway speeds nearly caused my bad old habit of nail biting to return. Attempts to leverage holes in traffic usually failed. Anytime I got stuck behind some fool doing 65 mph in the left lane, it took a looooong time before a large-enough hole made getting around the clueless driver a possibility. When driving a Rogue Sport, patience is a virtue. You won’t be inspired to spend more time than is necessary behind the wheel, either. At higher velocities, the steering feels heavy, leaden, and numb. The SV trim level’s wimpy 215/60 tires howl in corners and turns. On expressways, the Rogue Sport feels like it's struggling to maintain speed. Boring doesn’t begin to describe this vehicle’s driving character. Nissan ought to offer gift cards to your favorite coffee shop as an incentive, while making a drowsy-driver monitoring system standard equipment. Note, too, that my all-wheel-drive (AWD) test vehicle did not get anywhere near the advertised fuel economy. The EPA says it should have returned 27 mpg in combined driving. On my standard testing loop, the Rogue Sport averaged 24.4 mpg. Three dynamic elements deserve praise. First, the CVT helped the Rogue Sport zoom up a mountain grade at a steady 80 mph, a feat wholly unexpected. Second, the brakes successfully withstood abuse in 90-degree temperatures, reflecting Nissan’s selection of 4-wheel vented discs for its entry-level SUV. Third, the suspension does a good job of quelling excess ride motions and suppressing body roll while maintaining a decent ride quality. 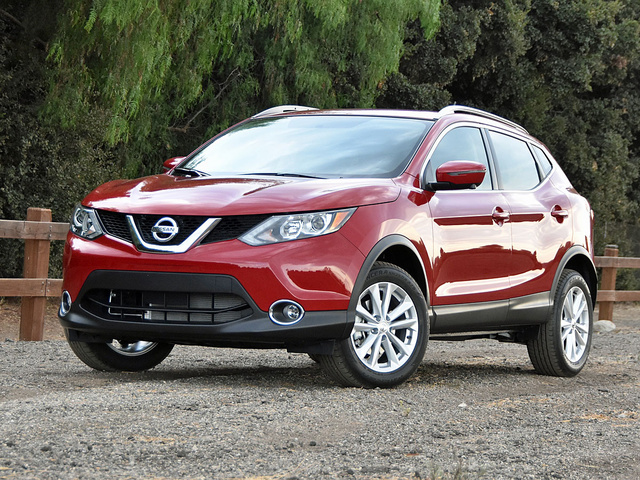 With a turbocharger and better steering, the Rogue Sport would start living up to its name. 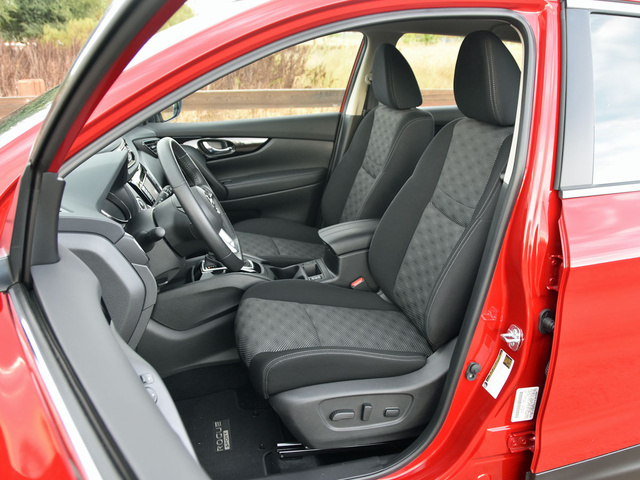 Up front, the Rogue Sport is just like a standard Rogue, which means it is easy to step into and out of, equipped with comfortable front seats (even though the front passenger’s seat lacks height adjustment), and offers unexpectedly nice materials for the entry-SUV segment. In back, the Rogue Sport demonstrates that it really ought to be called the Rogue Short. 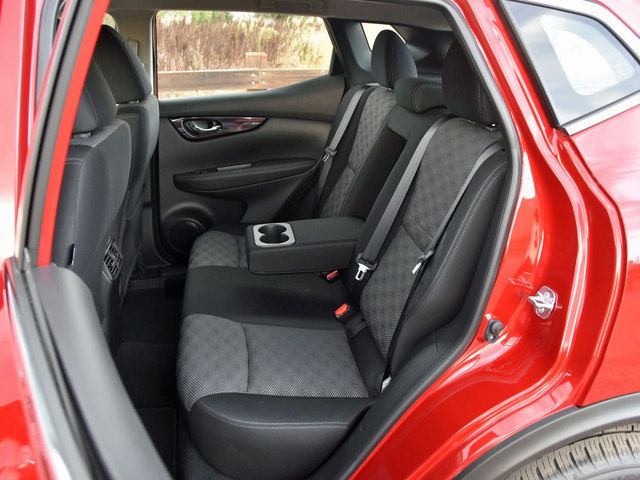 Backseat accommodations are tighter and less comfortable, and cargo space is dramatically smaller. The trunk holds just 19.9 cubic feet of luggage, expanding to 53.3 cu-ft when the 60/40-split rear seat is folded down. Nissan’s Divide-N-Hide cargo compartments are a nice touch, though, as are the handy storage bins tucked into each corner of the cargo area. To ensure a flat load floor, the backseat cushion is low, flat, and hard, lacking any semblance of support. Air-conditioning vents help, but without a comfortable place to sit, they supply little solace. Room for legs and feet is generous for the segment, though, providing adult passengers with extra space for their meal of knees. In a Rogue Sport, you definitely want to be the front-seat passenger. That way, the dull driving dynamics won’t lull you into a nap, and you’ll actually be comfortable. Be sure to call “shotgun”… even if you own the SUV. Optional on the SV trim and standard on the SL, a NissanConnect infotainment system includes a 7-inch touchscreen display, NissanConnect Mobile Apps, NissanConnect Services, and a navigation system. Except for the screen’s tendency to completely wash out in direct sunlight, rendering it invisible, this is a fairly impressive setup. First, Nissan supplies radio knobs and shortcut buttons to access main system menus, simplifying use of the system, which includes text-messaging support, Siri Eyes Free compatibility, and access to apps such as Pandora, Facebook, and Twitter. Second, the voice-recognition system is a cause for celebration rather than frustration, quickly finding the nearest source of my favorite coffee while driving in an unfamiliar part of town, helping me to stay awake behind the wheel. Third, depending on the service package to which you subscribe, the NissanConnect Services system features an Amazon Alexa skill, and provides automatic collision notification, SOS emergency calling, a parked-car finder, and alerts related to speed, curfew, and boundary passing. Those three latter functions are great for people with teenage drivers in the house. You know what you can’t get in the Rogue Sport? Apple CarPlay or Android Auto smartphone projection technology. Also, for a youth-oriented vehicle, failing to provide a rear USB charging port is increasingly a no-no. This infotainment system is packaged with several other useful features including a 360-degree surround-view camera system with Moving Object Detection. It offers front, rear, and top-down viewpoints, and you can switch the display to see the front wheel, helping to avoid curbing a rim when parallel parking. 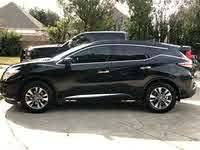 Better yet, Nissan doesn’t require purchase of the top trim level to obtain these features. They were included on my SV test vehicle as part of the Premium Package. In addition to safety-related subscription services, the SV Premium Package includes a blind-spot monitoring system with rear cross-traffic alert, a highly useful safety feature that really ought to be standard equipment for all modern vehicles. As impressive as the Rogue Sport SV’s level of technology is, Nissan needs to draw the line somewhere in order to constrain costs, and it does so by restricting automatic emergency braking and automatic high-beam LED headlights to the top trim level, where they are part of the SL Premium Package. Equip the Rogue Sport SL with the Platinum Package, and the SUV features adaptive cruise control, forward-collision warning with pedestrian detection, lane-departure warning, and lane-departure prevention systems. Of course, once you’ve added these features, plus AWD and a set of floor mats, you’re looking at a window sticker of $31,380. In a segment where prices typically don’t crack 30 grand, that ain’t chump change. Only a Buick Encore and Fiat 500X can be priced beyond the Rogue Sport in terms of factory-installed equipment. And they both have turbocharged engines. If you’re looking for crash-test ratings, neither the federal government nor the Insurance Institute for Highway Safety (IIHS) had performed tests on the Rogue Sport as this review was written. Although a Rogue Sport’s price tag can climb unexpectedly high, you’re certainly getting something for your money in the form of modern driver-assistance, collision-avoidance, connected service, and infotainment technologies. If you don’t want any of this stuff, or AWD, then get a Rogue Sport S, slap some aluminum wheels on it, throw some mats into it, and roll home for $23,100. At this point, however, it's worth noting that for the same amount of money as that lightly equipped S variant, you could instead get a turbocharged Nissan Sentra SR sedan with more stuff on it. And since the Sentra is one of the roomiest vehicles in its segment and comes with a huge trunk, you’re not giving up much in order to get more. Of course, a Sentra isn’t a trendy crossover SUV. But this comparison illustrates how car companies can charge a premium for an SUV, even if it comes with less equipment, without AWD, and with few discernable benefits aside from the image it projects. 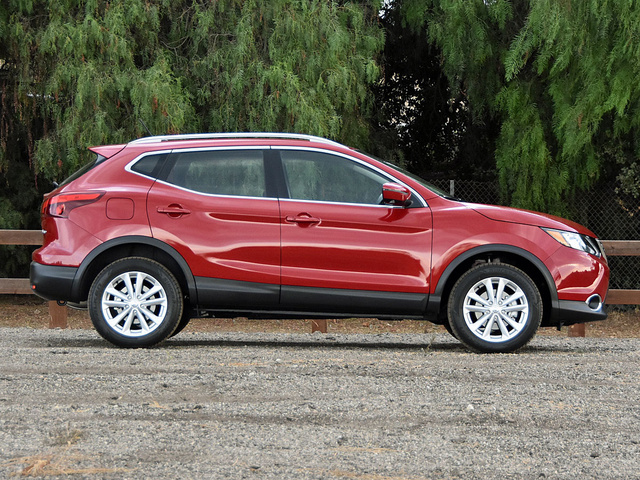 This brings us full circle to my final judgment on the Rogue Sport: It is one of the best small SUVs you can buy. Bet you weren’t expecting that, eh? Here’s the reality. Most of the Rogue Sport’s competition is just as woefully underpowered as it is. Most of them are uncomfortable, too, and offer little in the way of useful cargo space unless you kick rear-seat passengers out and fold the back seat down. Therefore, the Rogue Sport’s stylish sheetmetal, comparatively pleasing interior aesthetics, and impressive available technologies make it one of the more compelling choices in this segment. Plus, as this review is published, Nissan is offering zero-interest financing for 60 months, juicy rebates, and low lease payments on the Rogue Sport. Just consider yourself warned: this SUV’s name is more accurate when pronounced Rogue Short than it is Rogue Sport. What's your take on the 2017 Nissan Rogue Sport? Have you driven a 2017 Nissan Rogue Sport?